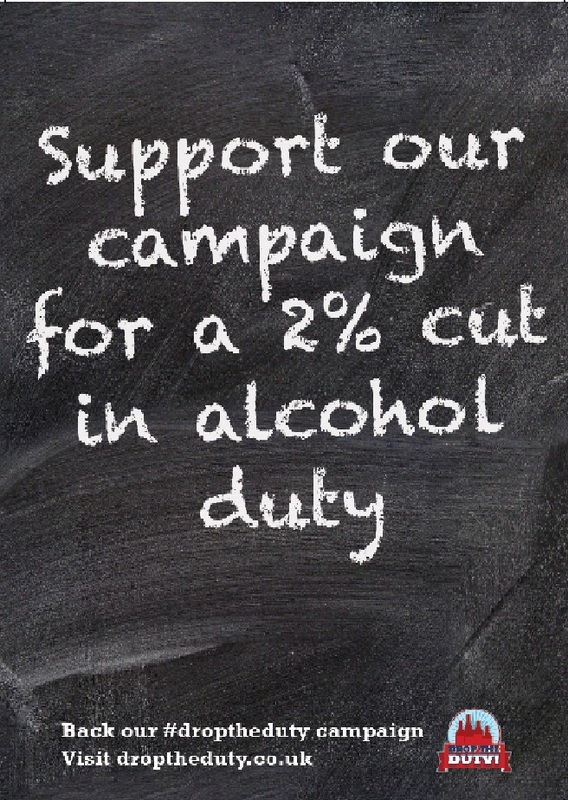 Drop The UK Wine Duty – A WSTA Campaign! Yesterday I was having a natter with a bloke called Rob Ivory. Turns out Rob is the Parliamentary Affairs and Campaigns Manager at the WSTA, which is the Wine and Spirit Trade Association of the UK. 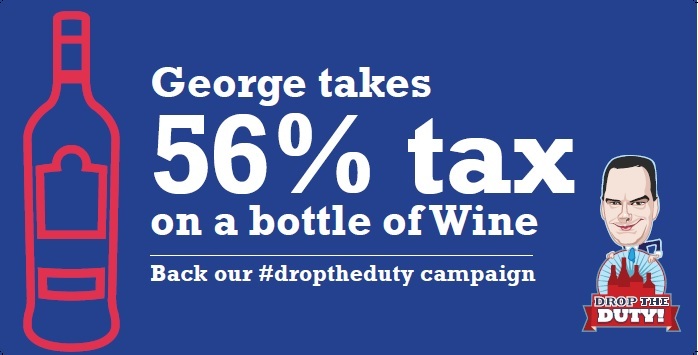 They got a campaign on the go in order to lobby for a drop in the duty charges on wine. Sounds like something I’d like to get behind! In all seriousness though, it’s a big issue. I’ve added all their infographics for you all to have a look at, but some of the stats are pretty staggering! 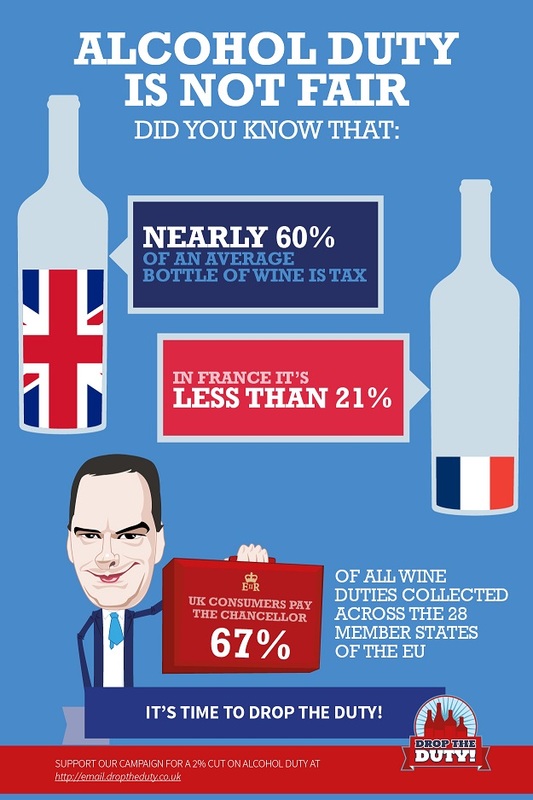 The average price of a bottle of wine in the UK is made up of nearly 60% tax! WOW! 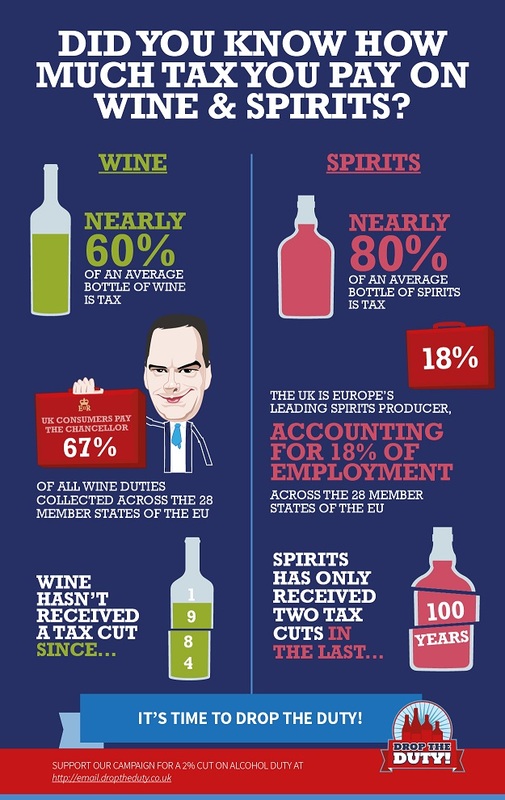 The wine industry contributes £8.7bn to the public purse! Again, WOW! This isn’t a campaign to make wine cheaper for the sake of it. It’s more about making sure that it’s a viable industry in the UK going forward. Wine employs the best part of 300,000 people in the UK (with me included now!) 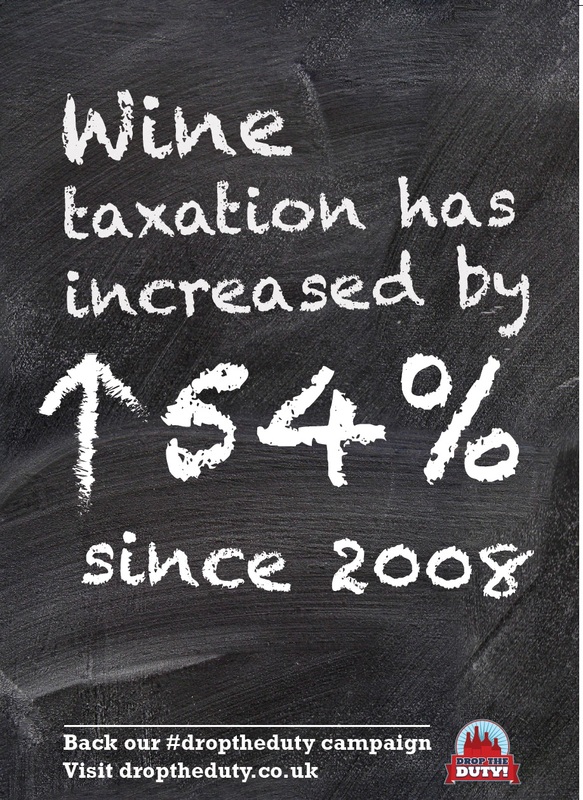 and, with the growth in home grown wines, that number will continue to expand. Maybe a little help from the government is not too much to ask for? If you agree then send an email to your MP by clicking the link here. Lets at least make it a topic of conversation for the decision makers. Thanks for reading and thanks in advance for your support!